The Little House of Concrete Music: David Bromberg "Use Me"
As you might expect, someone who has been associated with the likes of Reverend Gary Davis, Bob Dylan, George Harrison, Jerry Garcia,Jerry Jeff Walker, Willie Nelson, Jorma Kaukonen isn't going to be short of musical friends and acquaintances. 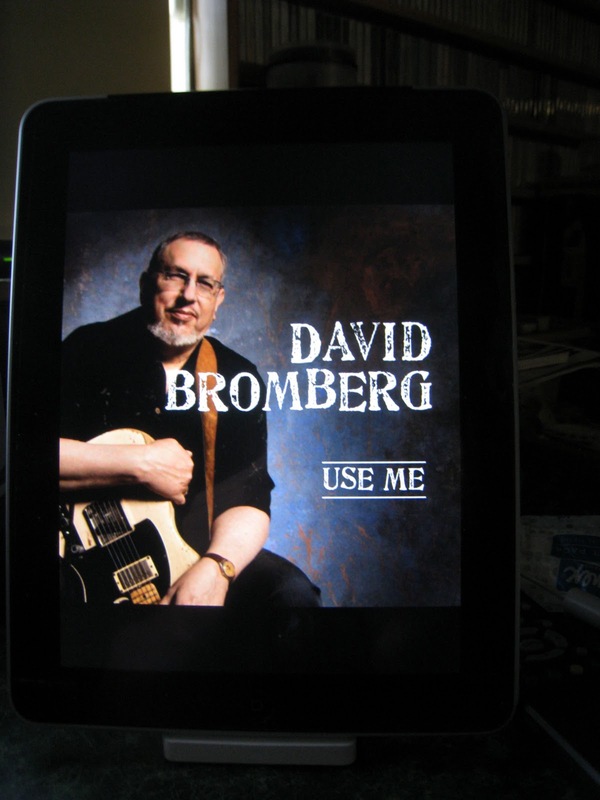 On Use Me David Bromberg calls in some musical favours from Dr. John, Levon Helm, Linda Ronstadt, John Hiatt, Widespread Panic and Los Lobos to produce an album that offers a lively amalgam of blues, folk, jazz, bluegrass and country & western, played with Bromberg's characteristic restrained virtuosity. After returning from a recording hiatus lasting 17 years for 2007's Try Me One More Time (in the meantime he's been operating a violin sales and repair shop in Wilmington, Delaware, with his wife) this latest effort, recorded on the various guest artists' home turf (Levon Helm in Woodstock, Dr John in New Orleans, Nashville for John Hiatt, Tim O’Brien and Vince Gill, Los Angeles for Los Lobos) works the same territory he's been mining through a lengthy career. If you're looking for rootsy eclecticism, with very classy performances on fiddle, acoustic and electric guitar, pedal steel and dobro with warm vocals and a classy lineup of guests who don't get in the way, Bromberg's your man.